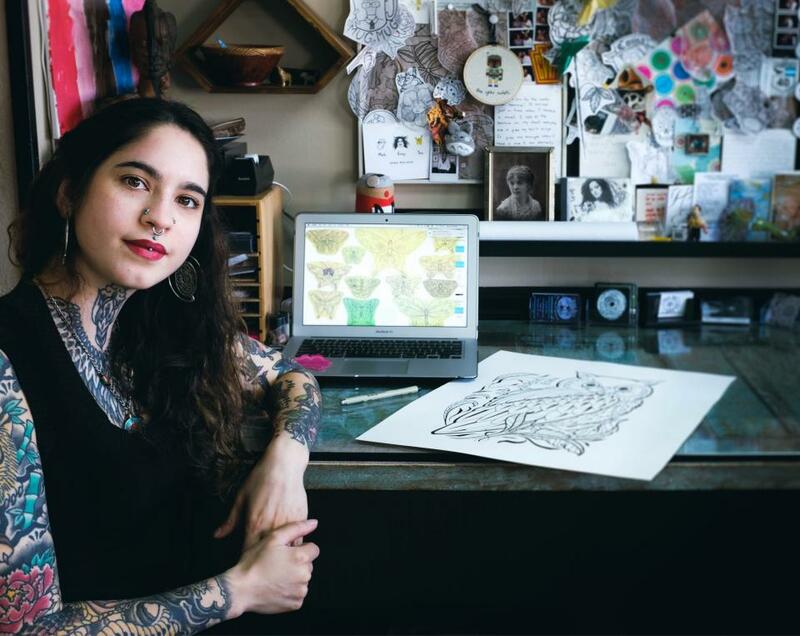 A loan of $10,000 helped a growing woman-owned tattoo shop founded on the principles of positivity, equality, and respect to relocate to a larger, permanent space. I was interested in tattooing since I was 8 years old or so. The concept of wearing art, permanently on the skin, has always fascinated me. I started drawing up and down my arms as well as my friends arms at an early age. Later, after graduating from Penn State University, I begun to work my way up into tattooing. My mother and father are both successful small business owners. I learned strong work ethics from watching them work to support us. Due to that strong work ethic, I did not give up on completing an apprenticeship throughout the good and bad times. In 10 years I went from cleaning the shop floors to opening my own tattoo shop. In those years I gained a lot of the shop management skills that benefit PMA Tattoo daily. I have also worked with many different tattoo artists, learning a variety of techniques and tattoo styles. It has been a wild, wonderful and difficult struggle to this point. I wanted to create a space that fostered healthier artist growth, more positive client relationships as well as a more open and friendly community interaction. I am grateful for what tattooing has taught me about art and about myself. I hope to continue growing as an artist and entrepreneur given this opportunity to acquire to expand with a more permanent work space. It will help the entrepreneur move to a permanent location and in turn, continue to impact her community positively. I decided to open my business October, 2016 when I realized that there was a need for safe and accepting tattoo shops for clients as well as tattoo artists in Pittsburgh, PA. After tattooing for over 5 years I gained the client base to support this dream. My clients are fantastic humans who support and promote PMA Tattoo wherever they go. For this I am extremely grateful, they have helped us to expand into a two artist shop with a tattoo apprentice well on her way to tattooing. Getting the store front fully renovated was the biggest challenge to us opening, especially having been completely self-funded. Having put countless hours of work as well as having invested major funds into repairing the floors, storefront, ceiling, plumbing, etc.. we were all set and ready to save up for a permanent location just to find out that our building is currently being sold and may have to move our business. In order to prevent this from happening again, PMA Tattoo would need a permanent home to confidently grow and invest in. We are very fortunate to be so busy since PMA Tattoo first opened. Over the years, this increase in business prompted our hire of two more staff members. With the increase of staff members, there was an increased need for space. We had set our sights and goals toward acquiring a building in a year or two, but recently found that the building we occupy is being sold to a new investor. We are not certain what the new landlord will require or if we will be able to stay, so we have put our goals of requiring a larger more permanent location into full swing. $10,000 would help us to acquire that space sooner by assisting with the cost of moving, closing costs and down payment on the building. In addition this loan, combined with the shop's savings, would help with the build out of our new location. There is a lot to gain with more space; the ability to work simultaneously, increasing shop productivity. PMA Tattoo would also gain a stronger connection between artists since we would be able to talk over design ideas and concepts together. We also look forward to creating a charity tattoo organization if we can acquire more physical space to accommodate those dreams. This charity would cover self inflicted wounds, scars and tattoos with painful past associations at discounted rates for under-served community members. In addition, with this space we will promote and collaborate with community art and music events not only as business owners, but also as neighbors. Why are you endorsing Sara? A number of people reached out to us to let us know that Sara and Positive Mental Attitude (PMA) Tattoo were going to move and were looking for a permanent space. It was great to hear from folks that thought that we'd make a good home for their new shop and we were quickly put in touch with Sara to talk it through. Also fortunately, the right building presented itself quickly and Sara is already working on funding PMA's new Sto-Rox home. It will be exciting to have this new independent small business here in town! We're so happy about this development for a number of reasons. Sara and PMA are a successful and growing business that brings a great outlook and ethos to their work, fostering a safe and inclusive place to come get tattoos from her and her talented employees. Their community-minded ethos of altruism and caring is demonstrated in their plans to begin an initiative that will help people cover self-inflicted scarring and other skin-bound remnants of trauma. We can't wait to see this new business open up on Broadway in the future. They are certain to make their storefront look strikingly attractive, just at they did in Dormont. Please help if you can and support Sara's loan so that she can get PMA up and running here quickly!